It’s clear that natural bodybuilding has grown tremendously. Since as early as 2007 shows across the country have brought more amazing athletes and fans year after year. The sport is heading in a good direction but look at the sport’s progress like we look at our diet or training: Sure “A” might work, but is “A” optimal? Anyone can get bigger and any business can grow with some stimulation. However it’s the people that constantly strive for improvement that reach their full potential. Natural bodybuilding has several organizations: IFPA, WNBF, ANBF, PNBA, DFAC and NGA to name some of the most well-known. That’s seven organizations all with different policies, templates, and athletes. Like many other things in life the whole is bigger than the sum of its parts, meaning that the more we are able to come together the bigger the sport can grow and the more people we can reach. Recently there have been numerous heated debates on various aspects on the sport and how it could improve. More often than not these discussions include top names in the sport…it’s time that changed. These leaders shouldn’t stop but instead athletes of all organizations, divisions, age, and levels need to step up and be willing to share their ideas among one another and most of all the organization presidents in order for real change to be made. Just like in our country’s politics it takes an entire population to make change, not relying on a few people to do it all for us. As I researched for this article and began forming the ideas I wanted to express I decided to talk to countless professionals in the sport including prep coaches and organization leaders. Some statements deserved being quoted below, some are listed as anonymous in order to prevent potential criticism. Since before I even began in the sport we have all heard discussions of natural bodybuilding coming together and forming one unified organization. 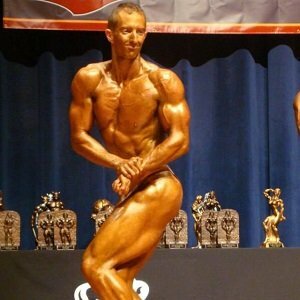 Even though I’m still a firm believer in this being the best way for the sport to grow, it’s became somewhat of a dead horse so instead I’d like to explore the possibility of forming what is recently being called a “super-show.” We all know that in natural bodybuilding there are several huge shows that bring together top level athletes. However many of these athletes rarely, if ever, get the chance to go head to head with all of the other top athletes in different organizations. The WNBF’s recent decision to lift the athlete ban, allowing pros from any organization to compete in the WNBF World Championships definitely helps this situation a lot. The problem is that there still isn’t a show specifically promoted to be the super bowl of natural bodybuilding. Designating an already established show could be a bad idea for creating this super-show. Just like product commercials on TV, simply calling your show the “show of all shows” makes it seem like a bad marketing trick. Athletes aren’t going to simply listen to one organization’s owner and fall in line to compete. Also picking one promoter over another will be no easy task. Instead we could create a new show and add it to the very end of the bodybuilding season. But how in the world could we have a show like that? I’m glad you asked! At the end of the season the Supershow could accept the top 3-4 overall from each division, of all the major shows. Huge shows like the IFPA Yorton Cup, IFPA Gaspari Pro, WNBF World Championship, PNBA Natural Olympia and DFAC World Championships could then meet up at the end of the year for an end all, be all showdown. Just 3-4 from the overall of each of the shows I listed would be enough for 15-20 athletes in each division: bodybuilding, figure and physique and bikini. Sure that would only be around 75 athletes at most but that’s the point. It’s the best of the best; the cream of the crop coming together to find out who is truly the best in the sport each year. Another area that has created many a social media debate is that of judging criteria. Several shows this year alone have had some less than agreeable results. It’s dismissed by most organizations but we all know that each organization has different criteria and priorities. Without naming names, some organizations prefer size even if it’s at the sake of having less conditioning. On the other hand, it seems that some prefer athletes to be ripped to shreds while many lack the size bodybuilders, and other divisions are known for in the sport. These preferences we can all live with, this is actually one of the benefits of having various organizations since it allows each athlete to find the organization that best fits their goals and body type. However the problem occurs when athletes that clearly deserve a top finish inexplicably finish at the bottom of their class. Now we can all think of reasons why this may occur. Whether it is that judges prefer different things than the organization’s criteria states, he or she is inexperienced as a judge or athlete, or even has allowed politics and personal feelings impair their ability to correctly judge. Regardless of the reason, this is a problem that needs to be further addressed. There currently isn’t a way to regulate judging decisions or ensure the right quality of judge is working on the panel. My suggestion is that we create a judging overview panel consisting of 5-9 reputable professional in the sport that can review judging decisions much like the president of officiating reviews questionable calls after a weekend in the NFL. The odd number of members would prevent stalemates in voting to overrule decisions etc. These judges could be voted in my registered members in each organization to prevent politics from deciding who lands the position. The other aspect of judging that I often hear people discussing is the current process people go through in becoming a judge. For example in the IFPA potential judges go through a test-judging. The potential judge sits on the judging panel of an organization sanctioned show and judges like a normal judge. Their scoring doesn’t count toward the athletes placing but it is compared to the actual judges after the show. If the potential judges and the actual judges have 80% or better the test judge qualifies to become an official judge. This isn’t a bad idea but there is a pretty serious pitfall to it. Let’s say a test judge is actually a really good judge yet the actual judging panel of that show is subpar. When the results are compared the test judge’s scores won’t match up and they will not qualify to judge. On the flip side if both the test judge and the actual panel aren’t good then the test judge will qualify and yet another incapable judge is added to the circulating judging panel. This is another way the judging overview board could improve the sport. The test judge and judging panel from that show could send their judging sheets in to the judging overview board. Rather than a decision being made in haste by a group of judges after the show, the judging overview board could have plenty of time to compare results using the sheets and footage from the show by groups like Inside Natural Bodybuilding. If that still left holes in the plan members of the overview committee could attend all the major shows and be there to compare placings at the end of the show. Politics may or may not create a lot of the questionable judging calls in the sport, but if creating this review board could eliminate this chance all together it’s more than worth consideration. Anyone that’s been in the sport for a while has heard that one major factor in organizations not working together is the differences in drug testing. Organizations’ testing policies include all sorts of combinations of urinalysis, polygraph and sometimes even random off-season testing. Each organization has their reason for their testing procedures but the problem is when newcomers become interested in starting in the sport this variance in procedures creates a maze for athletes to travel through before they can even think about stepping on stage. If different testing procedures weren’t confusing enough, most organizations have a different banned substance list to follow as well. This creates even more confusion for potential new athletes. For people that have been in sport for a while this isn’t a big deal. Most of us that have had experience in several organizations pretty much know how each is ran, but are we really content with that? If we want the sport to see the growth we all hope for it, confusing aspects like the variety of testing methods need to be consolidated in an effort to help new athletes have an easier time starting out. It seems as if each organization is unwilling to give up their testing procedures. After all it’s always hard to get the king or queen to give up their kingdom. I realize that each person has logical reasons for choosing the standards they have, but at what point does the comfort of a select group of athletes and promoters outweigh the need for the sport to grow? If you’re a veteran athlete then don’t you want to do your part to create a more enjoyable path for the new generation? For younger athletes in the sport don’t you want to help the sport grow as much as possible so you can truly step on stage with the best of the best? At some point we all have to realize that compromises don’t have to be made; they need to be made in order for natural bodybuilding to reach the level of exposure and quality that it needs to be. By at least working to bridge the gap between organizations and find more common ground through testing, we can make the sport more streamlined, helping improve the experience for current athletes and build the best path for future athletes. Is a policy change or consolidation really where we draw the line between possible and impossible? You mean to tell me an entire group of people can begin their own country after leaving unjust rule but we can’t come together to for this? A man can fly to the moon but we can’t make change in a sport we compete in for fun? If that’s what you’re telling me then I’m extremely disappointed in the sport as a whole, and the people in it. Cliff Wilson hitting a side chest pose.